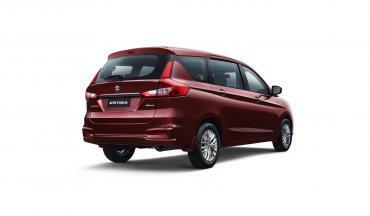 Maruti Suzuki has launched the second generation Ertiga in India. The prices for the new MPV start at Rs. 7.44 lakh for the petrol version and Rs. 8.84 lakh (ex-showroom) for the diesel. 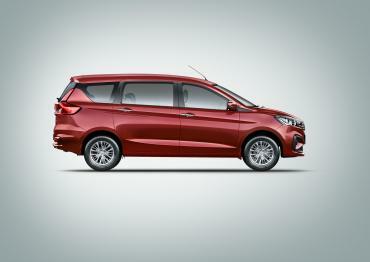 The new Ertiga is based on the fifth generation Heartect platform. It measures 4,395 mm in length, 1,735 mm in width and 1,690 mm in height. It has a wheelbase of 2,740 mm. The MPV offers 209 litres of luggage space, which can be expanded to 803 litres. Fuel tank capacity is 45 litres. The new Ertiga features a chrome grille flanked by twin-pod projector headlamps. The front bumper has a triple-slat air dam in the centre and triangular fog lamp pods. The new model comes with blacked-out B and C-pillars. It has electric ORVMs with turn signals and new 15-inch multi-spoke alloy wheels. At the rear, the new version features L-shaped LED tail lamps and a redesigned rear bumper with integrated reflector strips. On the interior, Maruti claims the cabin to be 40 mm longer, 5 mm taller and 99 mm longer than the outgoing car. The new Ertiga comes with beige upholstery and the dashboard is finished in a dual-tone and has faux wood trim. The car comes with a 3-spoke multi-function leather steering wheel and a twin-dial instrument cluster with a central MID. It has three rows of seats. Both second and third rows have a reclining mechanism. The second row can fold and slide forward in order to access the 3rd row. 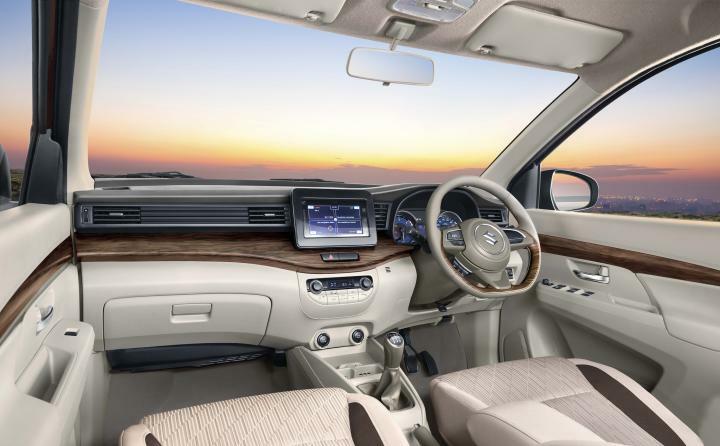 The Ertiga comes with a 7.0-inch touchscreen infotainment system that has Apple CarPlay, Android Auto and MirrorLink connectivity options. Other features include cooled cup holders, bottle holders and accessory socket in all rows of seats, automatic climate control, engine start/stop button, height adjustable driver seat among others. The new Ertiga is offered with two engine options - a 1.5-litre, 4-cylinder petrol engine that produces 103 BHP @ 6,000 rpm and 138 Nm of torque @ 4,400 rpm as well as a 1.3-litre, 4-cylinder diesel engine that makes 89 BHP @ 4,000 rpm and 200 Nm @ 1,750 rpm. A 5-speed manual transmission is offered as standard, while the petrol variant comes with an optional 4-speed automatic. Both engines get Smart Hybrid Technology, which includes features like Idle Start Stop function, Brake Energy Regeneration and Torque Assist function that uses energy stored in a lithium-ion battery. Standard safety features include dual airbags, ABS with EBD and brake assist, high speed warning, rear parking sensors and ISOFIX child safety seat anchors. The Ertiga is available in 5 colour options - Metallic Magma Grey, Pearl Metallic Oxford Blue, Pearl Arctic White and Metallic Silky Silver.